We are endeavouring to supply you with as much information as possible to assist you in understanding our services and what we offer our clients. We appreciate your interest and if the particular therapy that you are interested in is not fully complete as yet, please feel free to contact us and we will be happy to assist you further. Visit our contact page for questions or book today. Never miss a beauty special, and the odd beauty tip to help in-between visits. Copyright © 2019 Beauty Rooms Noosa. All rights reserved. beautyrooms clientele ranges from teenagers to mature women, men & sports people. Being a mature woman and mother, Susan attracts varying age groups to her salon for these very reasons. 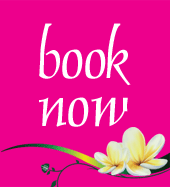 When choosing a Noosa beauty salon for waxing it is very important to find a Beauty Therapist & Salon you are comfortable with, the right vibe, ambience and qualified professionalism. See our Beauty Menu (pdf) or contact us for special requirements.